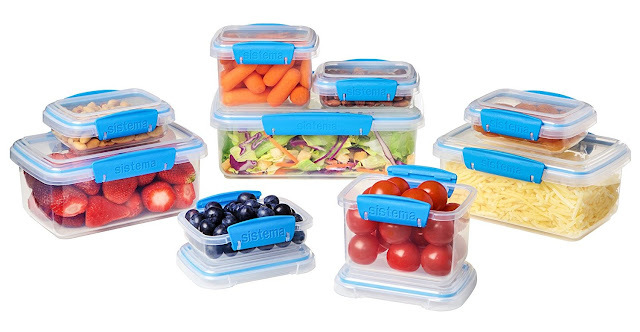 Right now you can score this 18-Piece Sistema Food Storage Containers for just $16.99 (Retail $19.99)! That's just 94¢ per container! These food storage containers are BPA and phthalate free and dishwasher, microwave fridge AND freezer safe. Set comes with 9 containers and lids with locking clips to keep food fresher longer.